Welcome to the killing grounds of BG-386. Prove your skills on four new multiplayer maps spanning jungle swamps, dropship crashsites, industrial complexes and ancient temples. Rainstoms batter you, fog hides your predators with only a flash of lightning to show the way through, and a fiery death awaits the unwary. The Bughunt Map Pack features two maps for Survivor Mode and two maps for all other Multiplayer Modes. - Crashsite - MP map - Furious - MP map - Tempest - Survivor map - Monument - Survivor map There are no refunds for this item. For more information, see www.xbox.com/live/accounts. 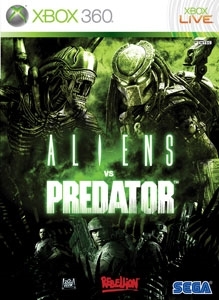 Bring a whole new dimension to the action and excitement of ALIENS vs PREDATOR with four all-new online maps. There are no refunds for this item. For more information, see www.xbox.com/live/accounts.